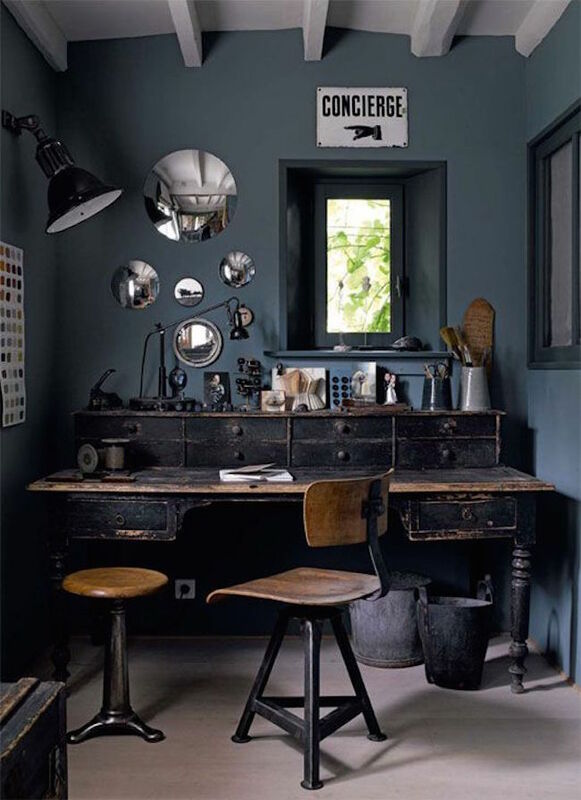 Industrial style for home office design is a great idea as I think this style makes you think of work. Rough wood and metal pipes are the most popular materials for organizing such a space. For walls and floors concrete (for a minimalist look) or rough wood (for a rustic touch) go very well, it’s rather affordable, durable and looks stylish. Rough brick walls also look amazing and give your home office a shabby chic look. Furniture of metal pipes and wood is easy to make yourself, you’ll get a personalized piece and won’t pay much. If you are planning a feminine industrial home office, try Scandinavian black and white palette for the office or just add some bold touches. Get inspired!